Oh, what we Westie's do to keep up our handsome good looks. Case in point ... 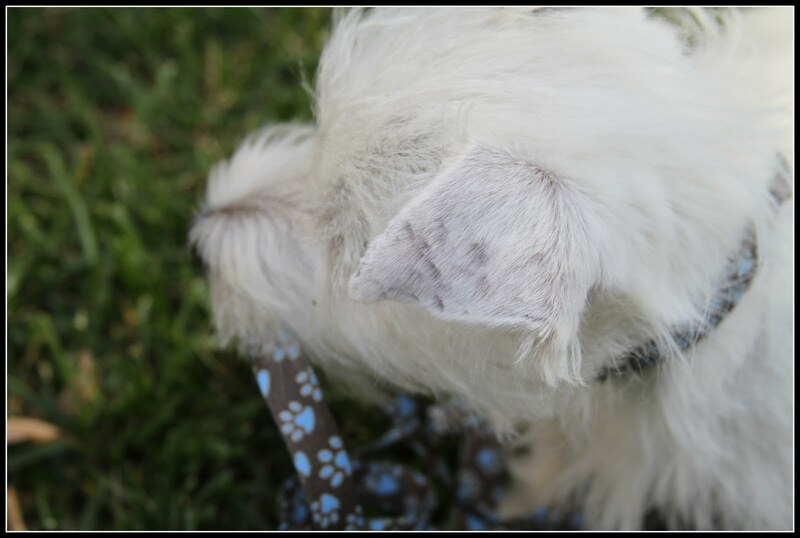 I, wild Westie pup, actually settled down enough to let my Mom trim the hair off my ear. Remember how my ear was down. Well that won't do for a Westie. Won't do at all. Mom has (obviously!) never attended beauty school of any kind, thus the chop chop chop look on the ear. Lord, I hope this works cuz I am suffering some indignity right now. Little D thanking heaven I have not gotten all my shots and thus don't get out much!